The objective of this post is to get people reading!! Every Wednesday I will post about the book I am reading! Anyone who would like to comment about my book or a book they are reading is more that welcome t do so at the end of my post!! Happy reading to everyone!!!! 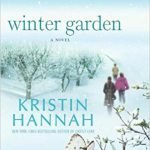 Mesmerizing from the first page to the last, Kristin Hannah’s Winter Garden is one woman’s sweeping, heartbreaking story of love, loss, and redemption. At once an epic love story set in World War II Russia and an intimate portrait of contemporary mothers and daughters poised at the crossroads of their lives, it explores the heartbreak of war, the cost of survival and the ultimate triumph of the human spirit. It is a novel that will haunt the reader long after the last page is turned. Nina and Meredith sit spellbound at their mother’s bedside, listening to a story that spans more than sixty years and moves from the terrors of war-torn Leningrad under siege to modern-day Alaska. In a quest to uncover the truth behind the story, Nina and Meredith discover a secret so shocking, so impossible to believe, it shakes the foundation of their family and changes who they believe they are. I am currently reading a title called “Home Again” by Kristin Hannah (one of my favorite authors). It is about a man who needs a heart transplant and the people he left behind a long time ago. So far I really like the book and can not wait to see how it ends! Here is the synopsis: Madelaine Hillyard is a world-famous heart surgeon at the top of her game. Her personal life is far less successful. A loving but overworked single mom, she is constantly at odds with her teenage daughter. At sixteen, Lina is confused, angry, and fast becoming a stranger to her mother—a rebel desperate to find the father who walked away before she was born. Complicating matters for Madelaine are the vastly different DeMarco brothers: While priest Francis DeMarco is always ready to lend a helping hand, his brother, Angel, long ago took on the role of bad boy. Years earlier Angel abandoned Madelaine—and fatherhood—to go in search of fame and fortune. His departure left Madelaine devastated, but now he reappears and seeks help from the very people he betrayed—as a patient in dire need. With Home Again, New York Times bestselling author Kristin Hannah has written a moving, powerful novel about the fragile threads that bind together our lives and the astonishing possibility of second chances. December 7, 2016 – I just finished reading a young adult novel called What Light. It was a heartwarming Christmas story about teens and love. I just finished a book by one of my favorite young adult authors Jennifer Brown entitled “Shade Me”. It is about a high school girl dealing with synsethia, a condition where she sees everything in colors. It was a good book but not like her others. This week I am reading “Turning the Tables, From Housewife to Inmate and Back Again” by Teresa Giudice, the star of the Real Housewives of New Jersey. This book is about her life before prison and her life in prison. She was sentenced to 15 months in Danbury for bankrupcy fraud. So far it is ok, but I have a guilty pleasure of watching the RHWNJ. I am currently reading a book entitled A Break of Day (A Shade of Vampire, Book 7) by Bella Forrest. This series is about a girl, Sofia Claremont (an immune) that falls in love with a vampire, (the King of the Shade) Derek Novak. This series is similar to the Twilight series, in relation to the vampire love story. I have enjoyed reading them and would suggest them to anyone who read and liked the Twilight series. So What are you Reading????? I am currently reading a book written by Shelly Shepard Gray entitled “Missing”. This book is about a small Amish community in Crittenden, Kentucky. I am about 3/4 of the way through this book and can not wait to find out how this story ends. This is the first book in a series of three so I am anxious to read the next book in the series!! This book is about a body of a young man that is discovered in the bottom of an abandoned well, then the book takes a turn and starts to seem more like a romance between the characters. I am really liking this book so far and would recommend it to anyone who likes Amish fiction or wants a fast, easy read!! So now that you know what I am reading….what are you reading?? So this week I am reading a book called “True Sisters” by Sandra Dallas. It is about a group of ladies and their families traveling from Iowa City to Salt Lake Valley in Utah with a huge group of Mormons in 1856. I am only about 50 pages in so I am just getting started but so far it is pretty good…..as for the book I was reading last “Missing”, it ended in a way that wants me to keep reading the other books in the series…..You don’t find out who killed the boy at the end of the first book, so my next book will probably be the second in this series!! !